Sometimes the search for the truth results in more questions. This is the premise of "Searching" - a film about a father desperately searching for his missing daughter. But that truth could be a total lie or that's how the trailer wants to make you believe. This has a "Gone Girl" vibe to it which makes this a must-see for us this year. The film was screened in the recent Sundance Film Festival and received outstanding praise. After David Kim (John Cho)’s 16-year-old daughter goes missing, a local investigation is opened and a detective is assigned to the case. But 37 hours later and without a single lead, David decides to search the one place no one has looked yet, where all secrets are kept today: his daughter’s laptop. In a hyper-modern thriller told via the technology devices we use every day to communicate, David must trace his daughter’s digital footprints before she disappears forever. 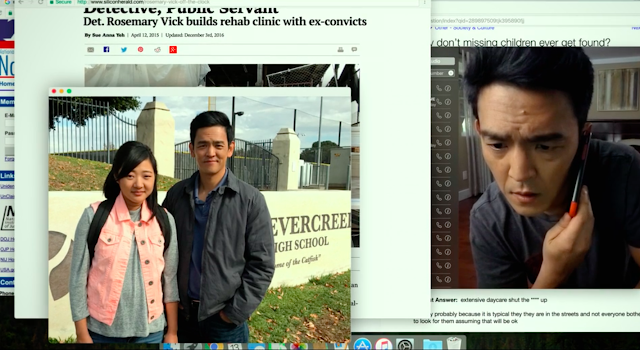 Directed by Aneesh Chaganty, "Searching" also stars Debra Messing, Joseph Lee, Michelle La, and Sara Sohn. "Searching" is distributed by Columbia Pictures, local office of Sony Pictures Releasing International.